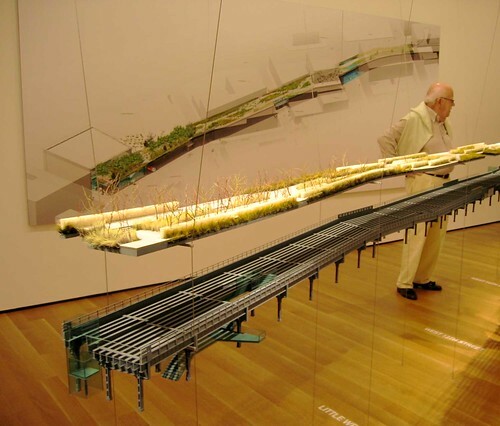 Its seems like this project was talked about on here somewhere, but can't locate it. 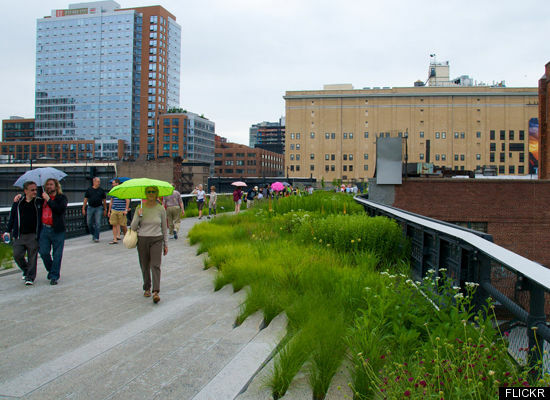 The High Line, an abandoned elevated railway on Manhattan's West Side, has been converted to an awesome elevated greenway. An update in October's Metropolitan Home magazine outlines the recently opened first phase. What an incredible project. This months Interior Design Magazine also talks a bit about it. But yeah, this thing is just a wonder to behold. I saw a scale model of this at a museum (MOMA?? I think... http://www.moma.org/visit/calendar/exhibitions/107 ) in NYC when we were there in 2005. It looks awesome and I'm so glad that it seems to be nearly as cool in real life. I'm pretty sure I have photos of it somewhere, but it appears I didn't upload them to my website and I can't find my archive DVDs at the moment. Looks like the IAC building. Love the new age music at their web site. 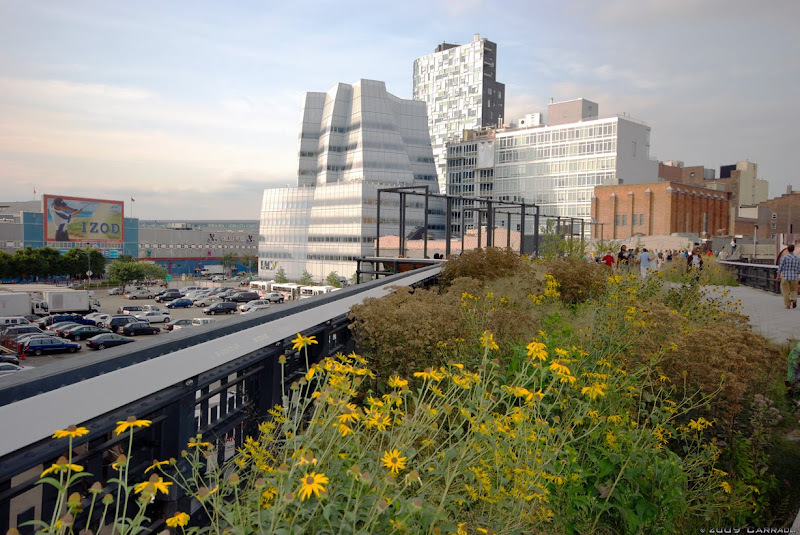 Found some nice video of the Highline Park.